Addicted to crack cocaine, Martin ate food from garbage cans until turning his life around and mentoring young men. Beth was living the American dream, loving husband and five kids, before tragedy struck, forcing her to sink or swim. Curt was content with his life until a plane crash changed everything and he was forced to reorganize his priorities. These are just a few of the engaging, true accounts in Some (Amazing) People I Know. This soul-stirring book tells seven diverse stories, ordinary people until significant challenges proved them extraordinary. Some (Amazing) People I Know, both heartbreaking and heartwarming, is transformative and will renew readers’ hope for humanity. Keith Maginn was born and raised in Cincinnati, Ohio, the youngest of four children. He attended Miami University in Oxford, Ohio, as an Evans Scholar. After earning his Bachelor’s degree in Sociology he relocated to Knoxville, Tennessee, to work for AmeriCorps and for Habitat for Humanity. Keith returned to Cincinnati after living nearly 10 years in east Tennessee. He enjoys being surrounded by family and friends. 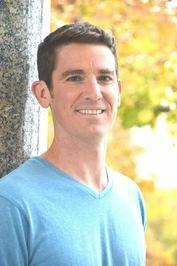 While writing is his passion, he also enjoys sports, meditation, yoga, reading and live music. Keith released Turning This Thing Around, an inspiring self-help memoir of overcoming personal struggles, in December 2010. In January 2013, he self-published Goodwill Tour: Paying It Forward, detailing a 3,000-mile philanthropic pay-it-forward road trip through the southeastern United States. 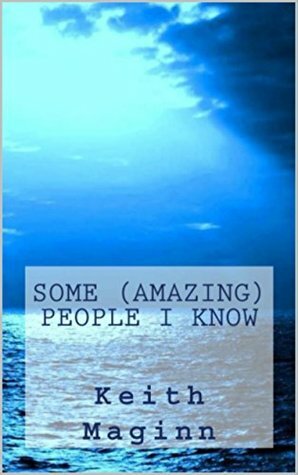 Some (Amazing) People I Know, released in January 2016, tells seven inspirational stories of everyday people. All three books are available in paperback and e-book on Amazon.com or at keithmaginn.com. Keith feels writing to help and inspire others is his life’s purpose. Thank you so much for featuring my book, EpicBookQuest! !